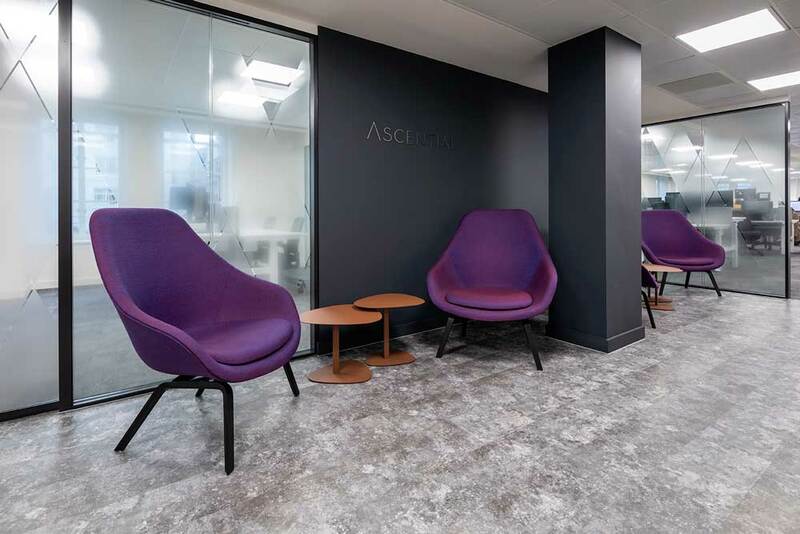 Edge by Ascential are a business which delivers some of the industry’s most accurate and actionable sales-driving data, insights and advisory solutions for global brands and retailers across the world. 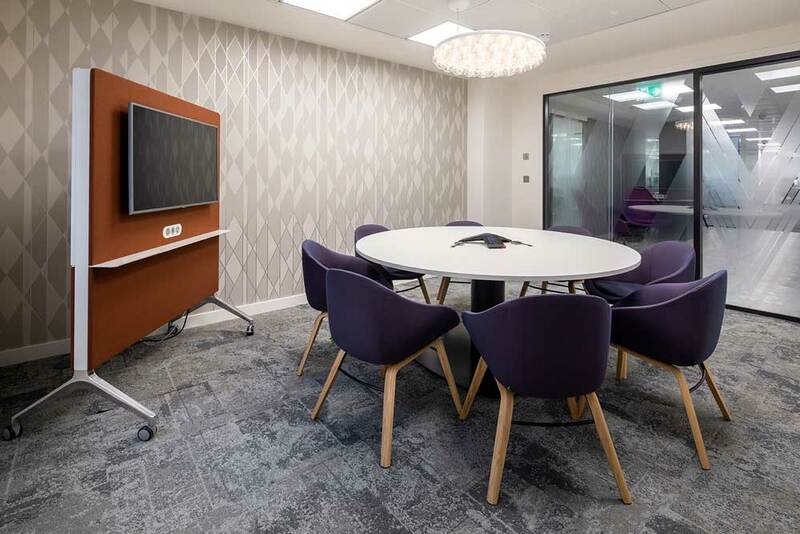 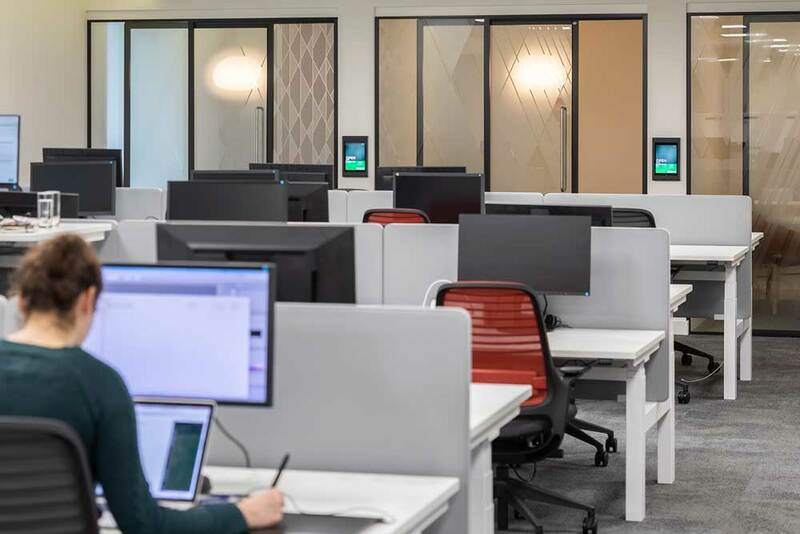 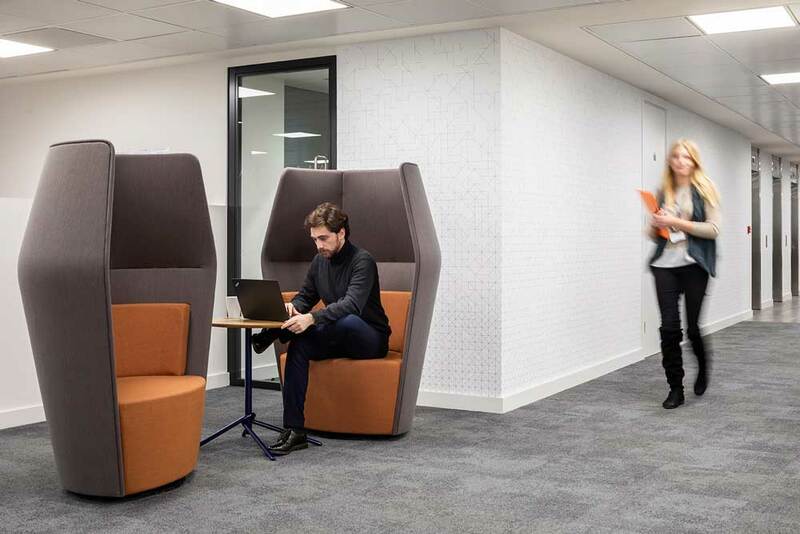 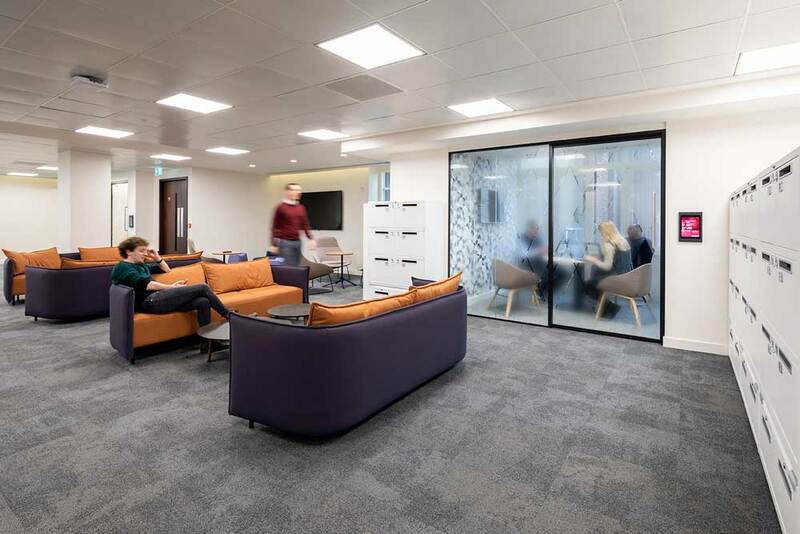 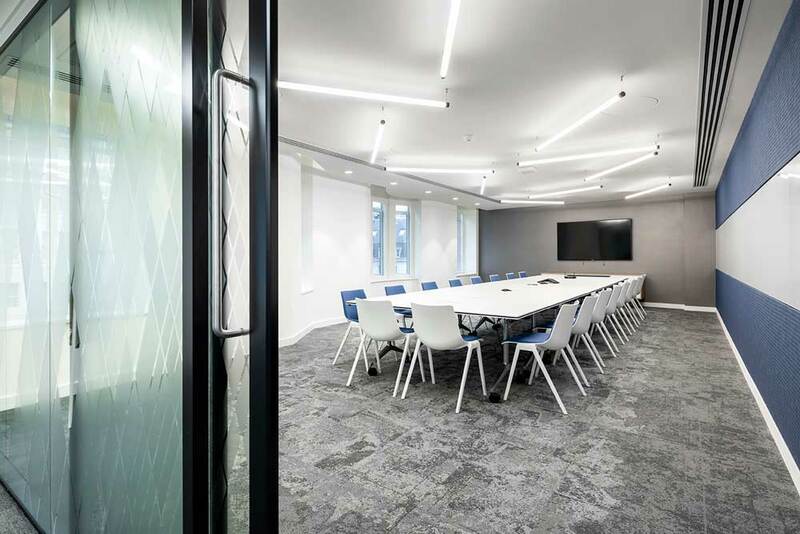 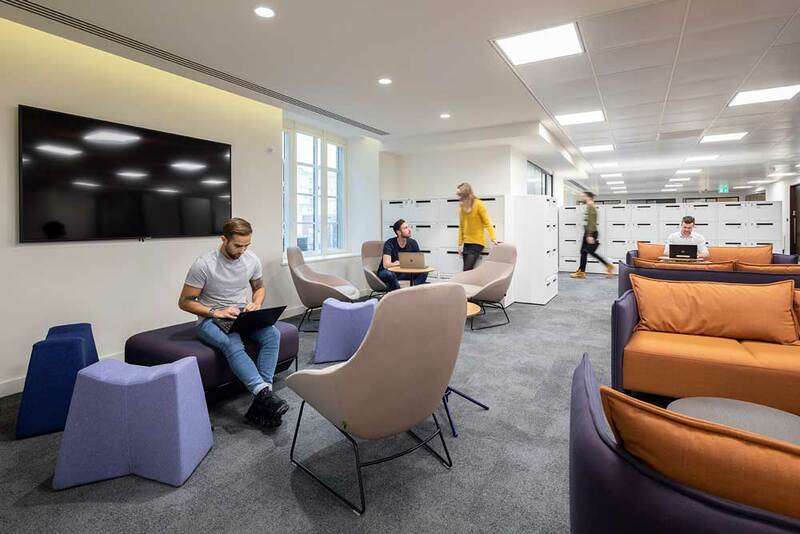 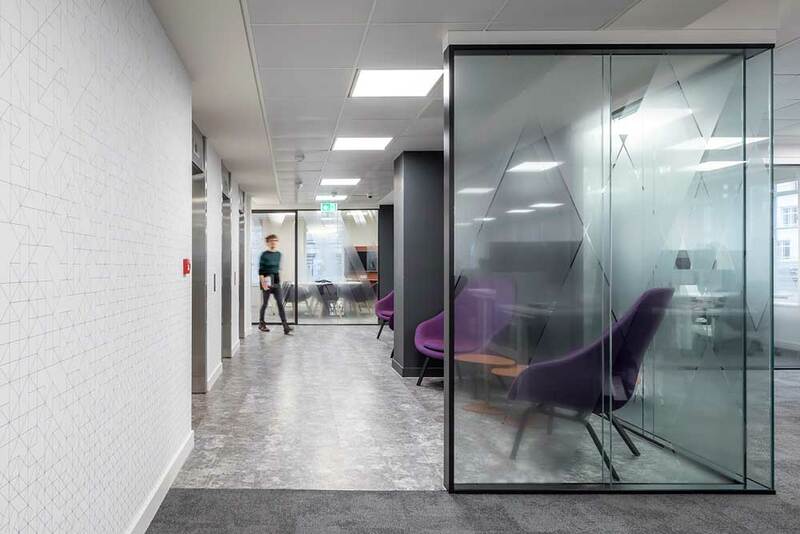 Their new office space in the prime location of Savoy Court London required a clean, sophisticated and high-tech look whilst still maintaining hints of the Ascential Brand. 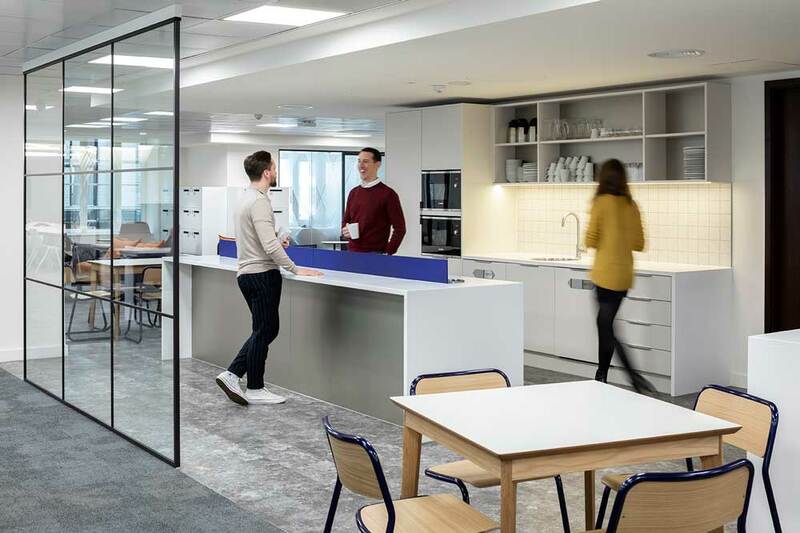 A ‘Digital’ graphic wallpaper leads you into and around the office, black framed partitions and a vibrant blue and rust palette add softness and highlights. 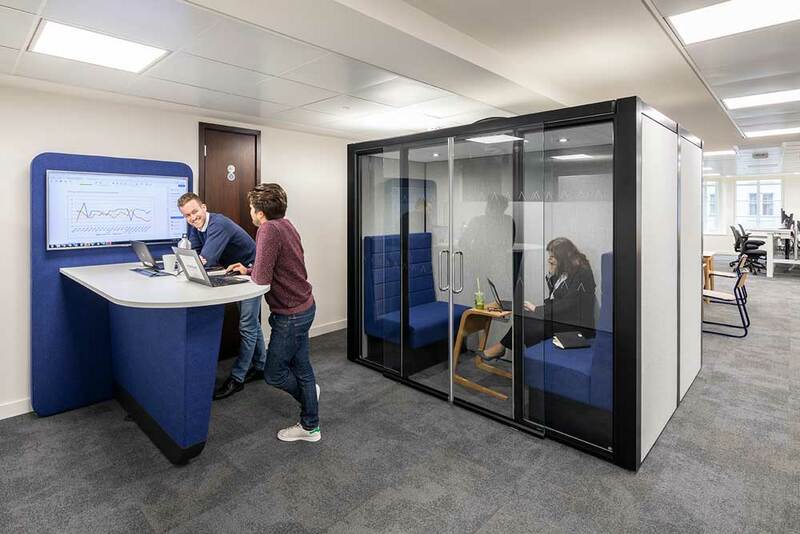 The workspace is supported by a series of meeting rooms and furniture solution pods to facilitate the sales driven areas of the business.